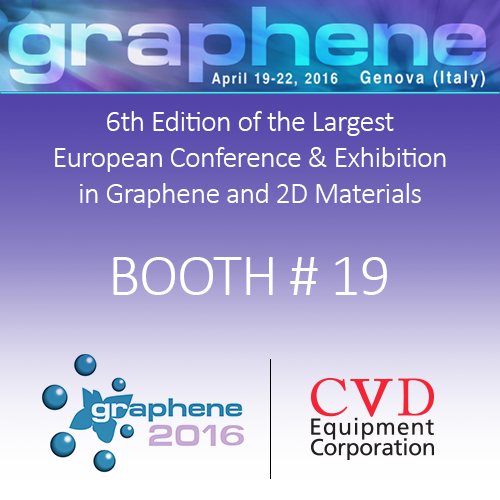 CVD Equipment Corporation, booth #19, cordially invites you to attend our exhibit held in conjunction with the Graphene 2016 conference this spring in Genoa, Italy. The 6th edition of Graphene Conference series, the largest European Event in Graphene and 2D Materials, will be hosted in Genoa (Italy) from the 19th until the 22th of April 2016. Authored by: Dr. Karlheinz Strobl, Ph.D.